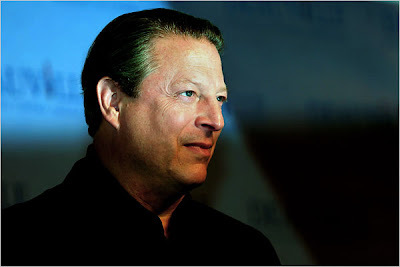 Terry Chan Photography: Al Gore is now a Nobel Peace Prize Recipient! Wow, all I can say is wow! Even though I didn't share the same views as Al Gore, especially when he claimed that he invented the Internet. I'm truly a fan of his and he's definitely an inspiration to me regarding being persistent and having a true vision of what you want to achieve. After he lost a very close presidential election to George Bush in 2000. 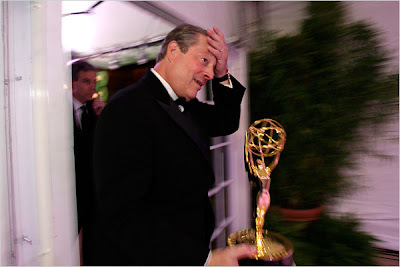 Former Vice President Al Gore had won a Academy (Oscar) Award, an Emmy Award, and now a Nobel Peace Prize Award. He's the only person in history to do it all within the same year. Read the complete article in the NY Times website.